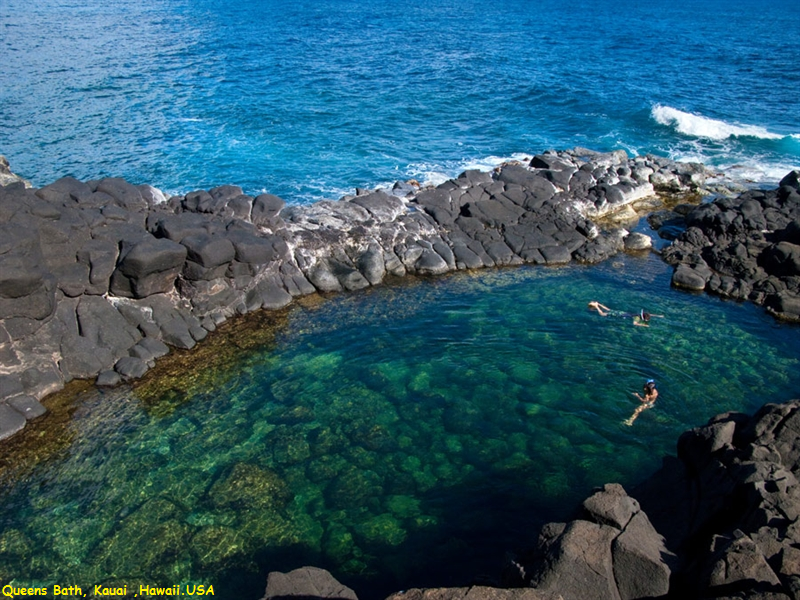 The pool is a sinkhole surrounded by igneous rock.It is located on the north shore of Kauaʻi in the town of Princeville. The swimming area is accessible via a short trail. In the winter during periods of high surf it is considered dangerous. Seven people have drowned after being swept off rocks by unexpected waves. In small surf—usually in the summer—the water in the pool is calm. Small fish and tiny sea life also live in the tide pool, such as Hawaiʻian sea urchins, angelfish and the so-called "ghost fish".